In 2013 Wells Foundation sponsored an appearance by Bato Bato, a marimba band comprised of students from Breck School. Both the band and Wells have supported one of the same shelters for homeless youth. Bato Bato’s lively music and joint work with homeless youth program offered St. Markans a chance to further acquaint themselves with the work of the Wells Foundation. 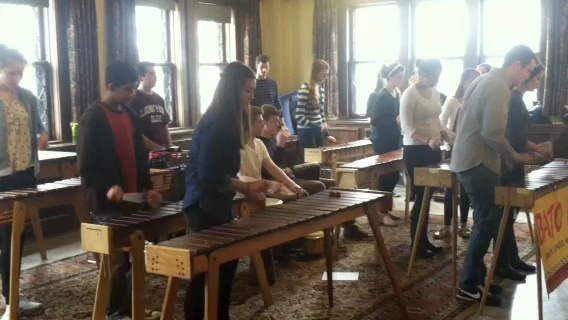 Breck High School’s marimba band Bato Bato playing at St. Mark’s Episcopal Cathedral in April 2013.